Motor vehicle accident attorneys practice a very specialized area of personal injury law. Not all attorneys on Long Island are as qualified to handle the issues that arise in auto accidents as the law firm of Riegler and Berkowitz. Cars, truck and other kinds of motor vehicles put the human body in motion. When a collision occurs the body is subjected to violent forces it was never designed to deal with. The resulting injuries are painful and debilitating. There is a “serious injury” requirement in New York. 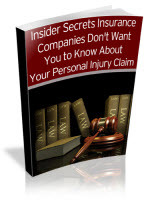 This means that not all injuries will qualify for compensation. People injured in motor vehicle accidents have a limited time to make a claim against the driver of the other vehicle for their injuries and for payment of medical expenses, lost earnings, etc. If you’ve been injured in any type of car or auto accident you need to speak with us immediately to protect your rights! Call us now at (631) 608-4114 for a free consultation. Or, you can fill out the free Motor Vehicle Accident Case Evaluation Form (on the right). We will analyze the details of your case and let you know if you will be entitled to monetary compensation.